With social media, promoting blogs has become easier. These days, more and more people rely on different blogs to keep them updated. The people who manage these blogs are average people just like you and me. So how do they create these blogs and generate so much traffic that they start to earn thousands of dollars? Well, if you’re interested in doing the same, you have come to the right place. Here, I will share a series of steps through which you can set up your own blog and monetize it within just 47 minutes! The first thing you need in order to create a blog is an idea. What is the blog going to be about? You should search for that topic and search for it with all you got because this will be the foundation of your entire blog. You have to ask yourself this question. How interested you are to learn new things about this topic? How much knowledge you already have about it? If you start off a blog with a topic you’re not interested in, you’ll soon run out of ideas and your blog will turn into a boring business with no viewers. You don’t want that, do you? When you are going to pick your topic, be sure to check if people are interested in it just as much as you are. Head over to Google and enter a related keyword for your topic to check out how much data is available on the web. However, remember that keywords are important. So, don’t go on and choose a generic name such as ‘travel’ if you’re going to write a travel blog. The domain name is the name of your blog. Hence, you need to consider choosing an appropriate one. It should be a unique one too as domain names cannot be used more than once. For example, you can’t call your blog Facebook.com. This is because that domain name is already taken. Domain names can be bought for as low as $10/year. Then comes web hosting. Web hosting services allow you to publish your website online. Without a web hosting service, people cannot see your blog. Without a domain name, people can’t access your blog. These two things are necessary and sufficient for each other. Web hosting services can be purchased with prices ranging from $3-$1000/month. 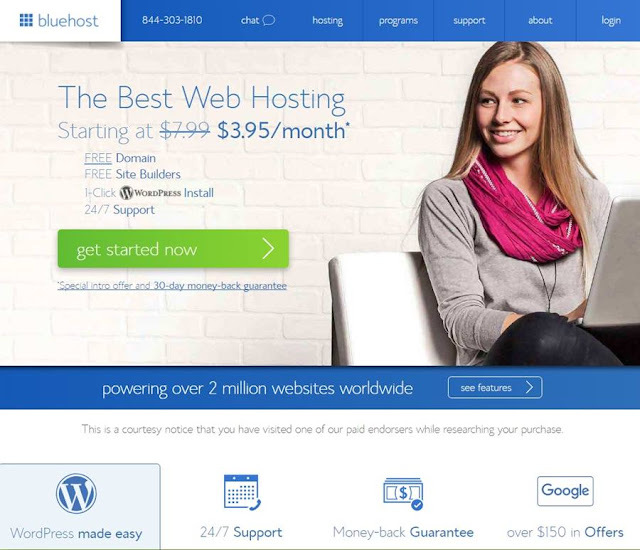 For a new blog, I highly recommended that you choose Bluehost. It is well known for its reliability and fair prices regarding web hosting services. The company offers packages as low as $3.9/month. For starters, a cheap hosting service will do. However, once you reach a significant amount of visitors, you can upgrade your package. Always prefer .com over other domains, they are easier to remember. By this time, most of the single world domains are already taken (or they are very expensive). Therefore, aim for domains with 2-3 words. Keep the domain name related to the topic your blog is about. You don’t want your blog to be named ‘recipe.com’ and have info about sports cars in it. Moreover, choosing a relevant name helps search engines distinguish between different blogs and it helps in other ranking factors. Do not use numbers and hyphens, these are difficult to remember. Try to give your blog a unique and memorable name. Take your time in choosing a name for your blog. This name will define your blog as users will know what the blog contains just by seeing its name. To start blogging, you need a blogging software. WordPress is the most used software in the field of blogging and 27% of the websites and blogs are based on it. WordPress is widely used due to its user-friendly and powerful interface. 3. Use your third click on the Check Domain button. 4. Click on the ‘I have read the terms and conditions’ button. 5. Finally, click on ‘Install Now’. 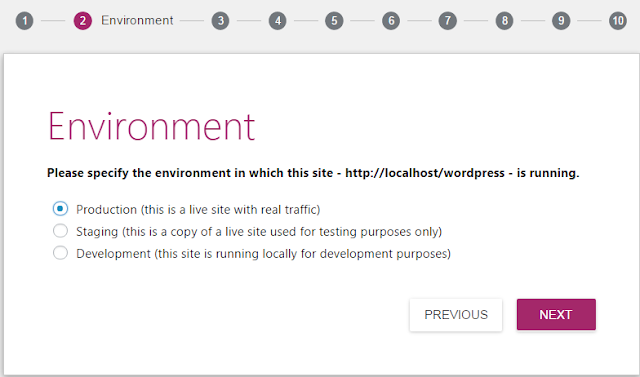 There you go, WordPress is successfully installed on your blog. In order to attract viewers, your blog has to look attractive. You can do this by installing WordPress themes in your blog. For starters, choosing a theme is quite difficult as they get carried away with the designs while neglecting the main function of the theme. The good thing about themes is that they can be changed any time. Enter your login credentials and you will be logged in to the admin panel of your WordPress blog. 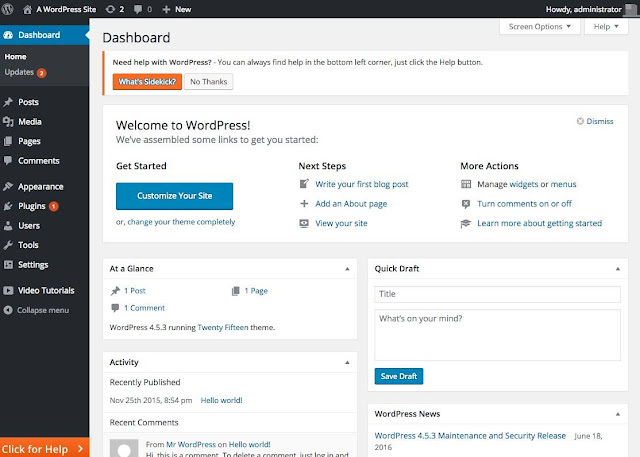 The WordPress dashboard might look confusing at first but you’ll get used to it in no time. 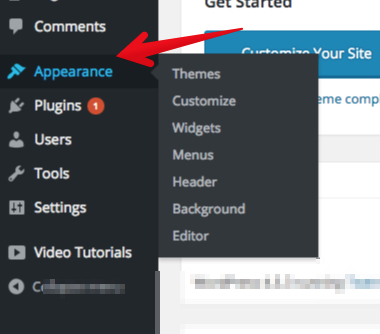 In order to install a new theme, head over to the ‘Appearance’ menu in the sidebar. Thereafter, click ‘Themes’. 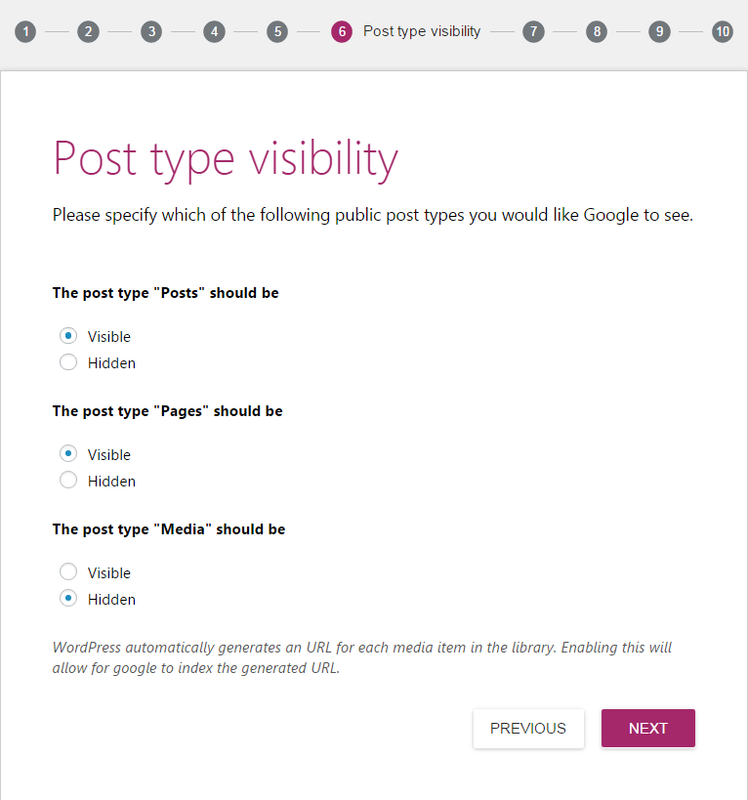 WordPress comes with a number of default themes. However, if you’re not interested in those, you can search for new ones by clicking the ‘Add New’ button at the top of the themes page. 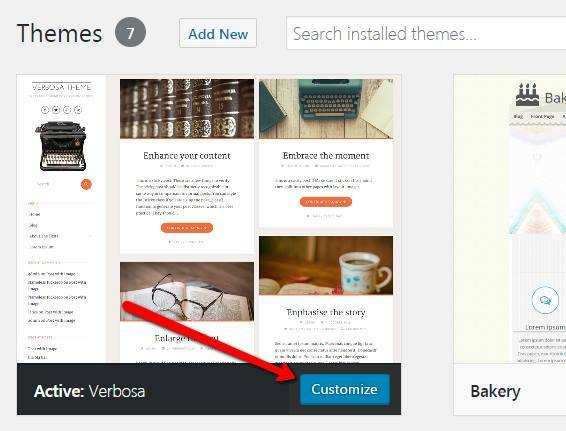 After choosing your desired filters, thousands of relevant themes will be displayed. 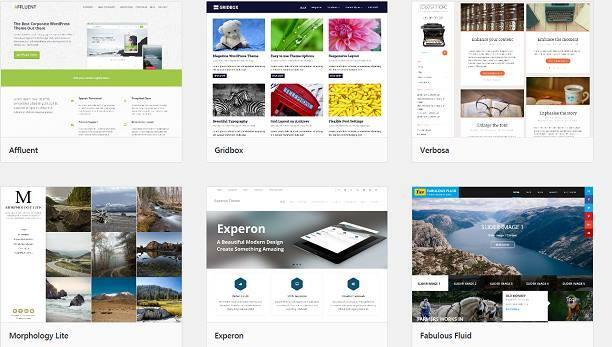 These themes might cost you hundreds of dollars if you go to a web designer. However, WordPress offers most of them for free. Once you’re done searching for themes, click on the thumbnail of the theme that you like to get an instant preview of that theme. If you like it, click on the ‘Install’ button. After the installation is complete, click on the ‘Activate’ button to apply the theme. 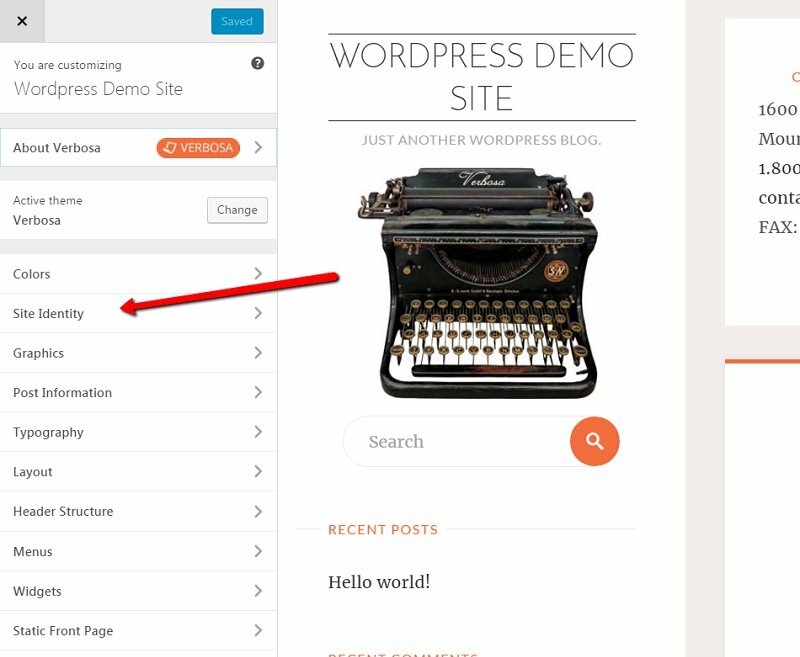 You can customize your blog by adding different add-ons and plugins to it. Plugins and add-ons are used to add new features to your blog that are otherwise not available with the theme. These include, forms like contact forms, sliders, etc. To customize your theme, click on the ‘Customize’ button from your active theme page. From here, different options will be available. However, we will only customize the ‘Site Identity’ for now. In Site Identity, you can write the name of your blog or some slogan if you wish. After editing the Site Identity, click on the Save and Publish button. SEO or Search Engine Optimization is the biggest factor in attracting audience. SEO is a multi-billion-dollar industry. It is the process of using a specific set of words and images in order to make your website easily discoverable on the internet. A huge portion of blogging is related to SEO and there are millions of tutorials and lectures available on the topic. Although SEO might look a little difficult, WordPress makes it easy. 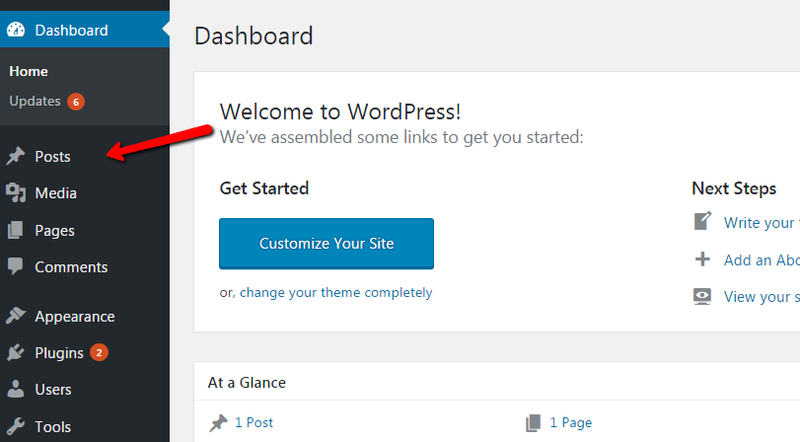 Through WordPress, you can easily optimize your blog. Moreover, through SEO, you will create engaging content for people. A type of content which is relevant, real, and unique. This will be done not only through text, but also through images, tags, videos, and a bunch of other stuff. At the outset, you need to install the most common SEO plugin, Yoast SEO. Head over to the "Plugins" from sidebar menu and click the ‘Add New’ button. In the search bar, type in ‘Yoast SEO’ and click the ‘Install Now’ button followed by clicking the ‘Activate’ button to activate the plugin. A SEO icon will be displayed in the sidebar after successful installation of the plugin. The plugin’s logo will also be displayed at the top bar of the dashboard. You can access the plugin from both these places. Initially, fill out the general info about your blog. After that, identify yourself as a company or a person and then click the ‘Save Changes’ button. In the Yoast SEO menu, go to the ‘Webmaster Tools’ tab and click on the ‘Google Search Console’. The Search Console is a webmaster tool. 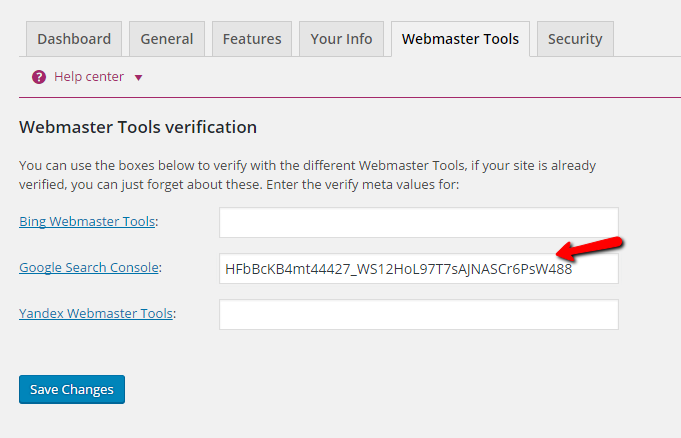 This allows you to submit your site to Webmaster tool’s search index and optimize the search visibility of your site. 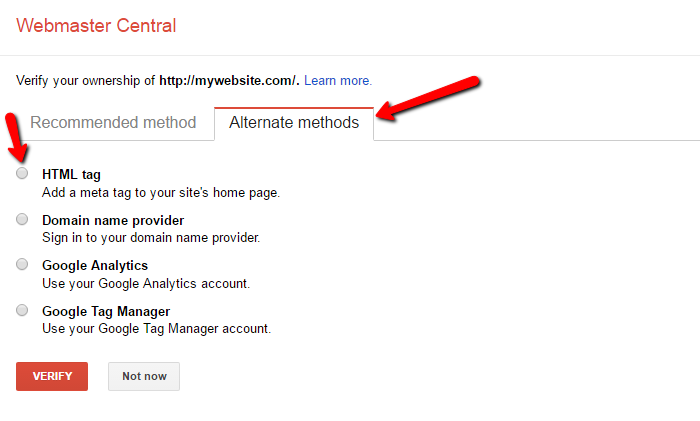 From here, sign in to your Google Account and click the ‘Alternate Methods’ tab. Select the ‘HTML tag’ option from there. 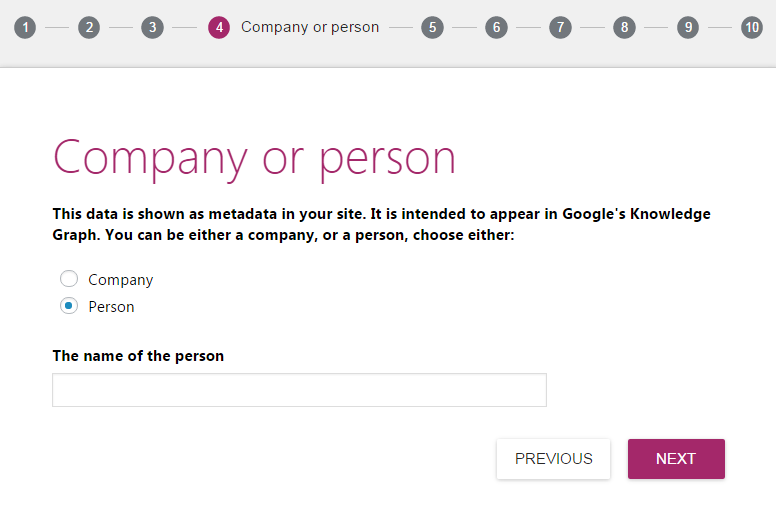 After that, a dropdown box will appear with your search console Meta code. Copy it without the quotation marks and paste it in the Google Search Console text box in WordPress. Finally, click the ‘Save Changes’ in Wordpress dashboard button and then the ‘Verify’ button in Google Search Console window. 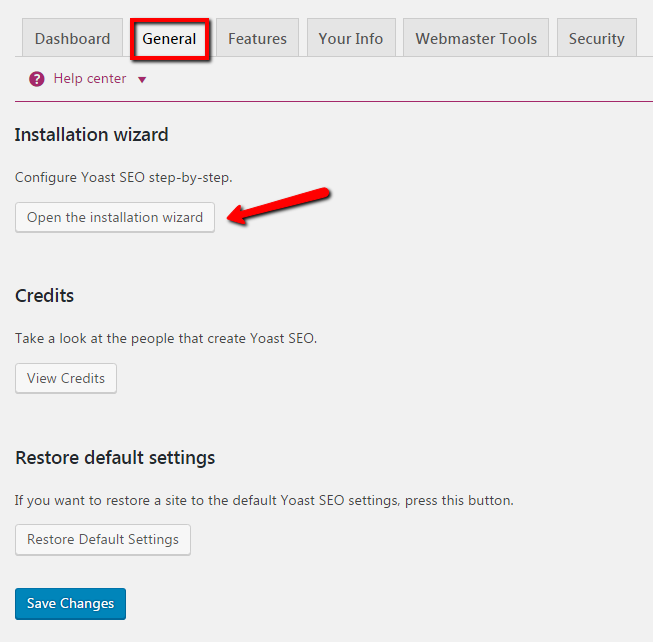 Now, go to the ‘General’ tab of Yoast SEO plugin to begin the installation and optimization of your blog. The first step comes with a welcome screen which you can skip. 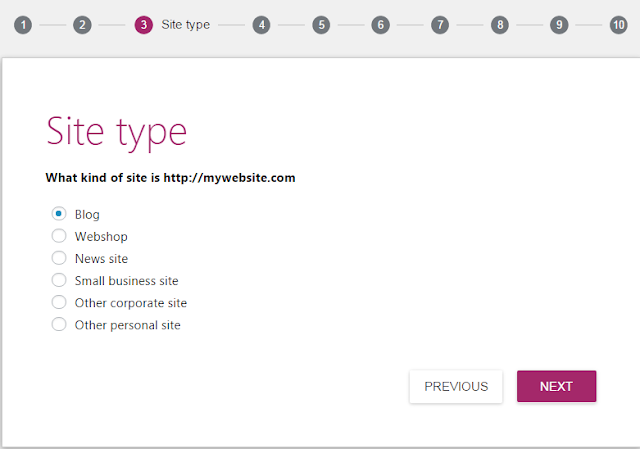 The third step lets you choose the type of your website. Choose ‘blog’. The fourth step includes identifying yourself as a person or a company. As we have already done that before, we can skip that step. In the fifth step, you can add a number of social profiles linked to your blog. After successfully doing that, head over to the sixth step. 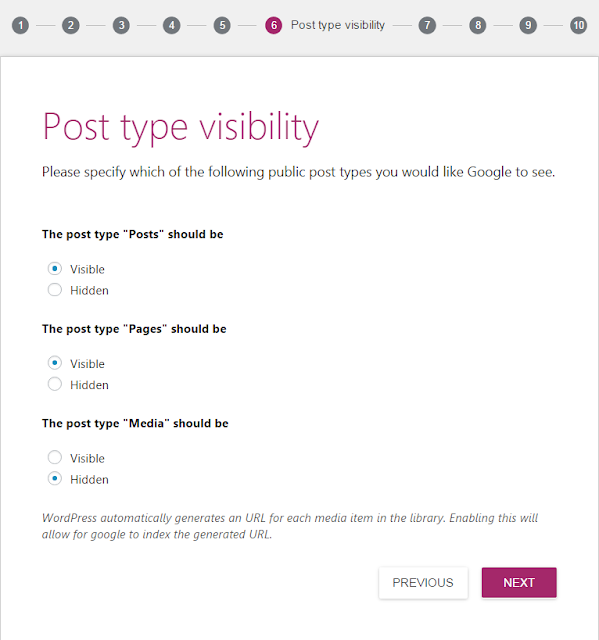 In this step, you have post visibility options. You can choose the default settings here and click next. In the seventh step, choose if your blog will have a single writer or a bunch of writers. This can be changed in the future. In step 8, you can allow Yoast SEO to fetch your Google Search Console Information. Click on the ‘Get Google Authorization Code’ button. This will lead you to a pop-up asking for access to your search console date. Click ‘Allow’. 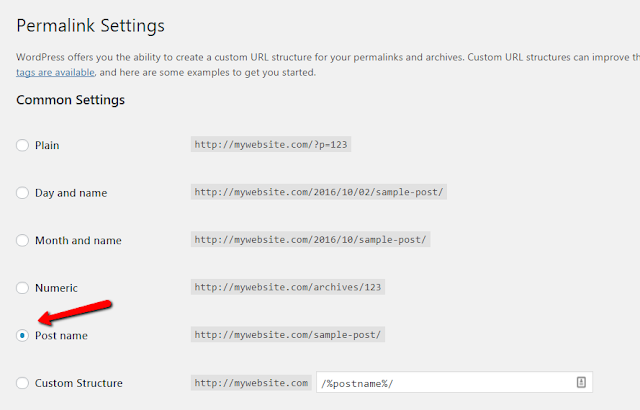 This step lets you confirm your website name and choose your title separator. The title separator splits your title from your website’s name. Once you’re done choosing your title separator, click Next. The final step is like the first step; it is a congratulation screen which you can skip. The final setting in the Yoast SEO plugin is the XML sitemap. This is a file that consists of all the URLs present in your website and it is crucial to establish one. The sitemap feature allows search engines to crawl your website to find new posts and pages. 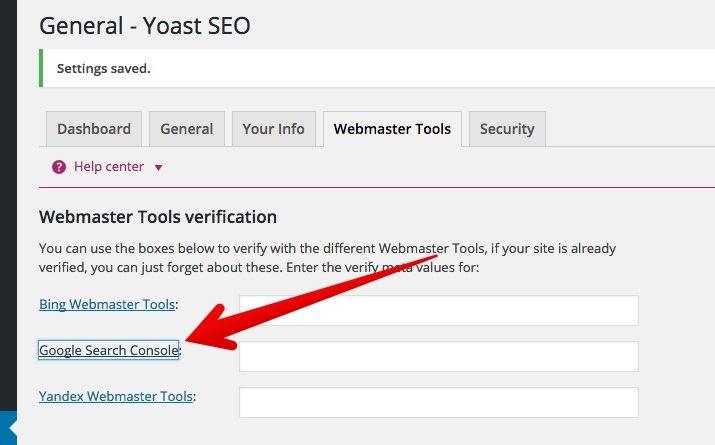 With Yoast SEO, you can configure it once and the plugin will update it automatically every time you create a new page. To enable site mapping, click on the ‘Features’ tab from the Yoast SEO menu. From there, enable the “Advanced setting pages” and click save. Now, a group of new options will appear under SEO in the sidebar. Under SEO, select the ‘XML Sitemaps’ menu and then select the ‘User Sitemap’ tab. 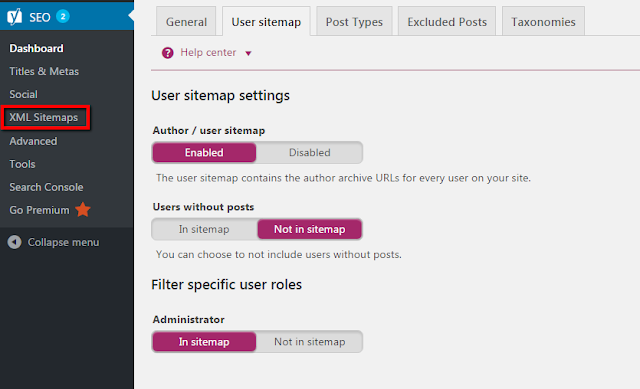 Set the ‘Author/user sitemap’ to ‘enabled’. Click on Save. 1. Head over to the sidebar and choose ‘Permalink’ after hovering over ‘Settings’. 2. Choose whatever option you think will create more flexibility and then click the Save button. After following all of the steps mentioned above, you now have a running blog. However, there’s only one thing missing; the content. We will get to that part now. As we have our blog website set up, we now need some content to publish. When it comes to publishing some content, your imagination is the limit. You can write anything about your topic ranging from personal experiences to facts and opinions. People are often confused about what should they write about. You can answer this question by yourself. All you need is a pen, paper, and an hour of silence. In this hour, you will look at your topic from the reader’s point of view. Ask yourself these 5 questions through a reader’s perspective and jot down 10 answers for each question on a paper. With this technique, you will come up with about 50 different things to write about! This can include things like how a certain thing makes you fall. For example, if you’re writing about football, you might write how the first touch feels or how all your problems go away with a football at your feet. This can include problems such as not having enough shot power while shooting the ball, not being fast enough, and others that readers might be going through in their life related to that topic. “What character traits do my readers possess? For example, footballers have a strong sense of teamwork whereas some might have the vision for individual glory. You can write about both. This can include things such as the way playing football makes them feel or how they enjoy scoring a goal. For example, footballers hate when their teammates don’t pass the ball. Now that you have about 50 answers, you can come up with hundreds of topics to write about. Isn’t it marvelous? With these topics, go for a catchy headline that users will surely get attracted to. Once you’re done with that, start penning. 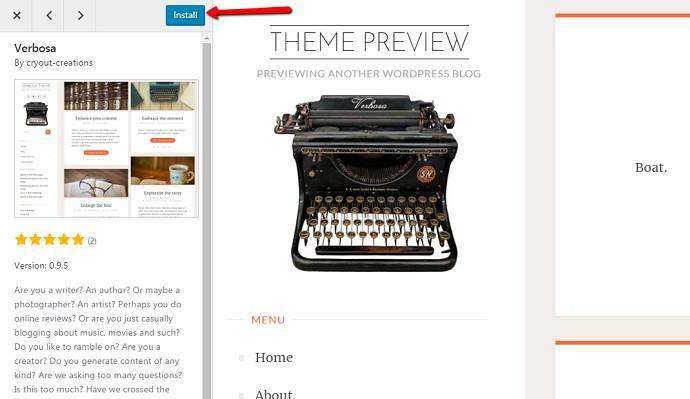 In order to create your first blog post, you can use the text editor inside WordPress. In order to do so, click on ‘Post’ from the left sidebar. 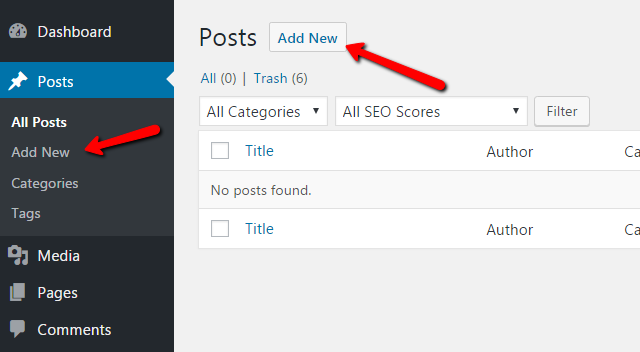 A list of all of your blog entries will show up in a descending order. Since we don’t have any posts right now, the list will be empty. Go ahead and click on the ‘Add New’ button. You’ll be taken to the text editor from where you’ll start writing. First of all, add the Title for your blog post. 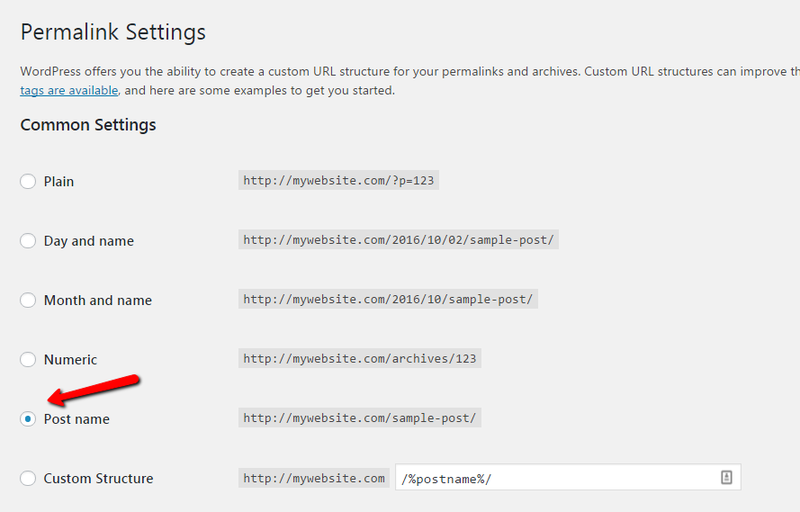 Once you create the title, a permalink will be generated by WordPress immediately below your title. After writing the title, you can write the content in the body editor and write to your heart’s content. Writing is not enough, to attract even more audience, you need to add images and sometimes, even videos where necessary. To add these, click on the ‘Add Media’ button and then, drag and drop your image in the image menu. After successfully uploading the image, select it and click on ‘Insert into post’. Images can be resized here and hyperlinks can be added to them too. After this, your image will be inserted in your blog post. After successfully completing your article, you’ll need a bit of optimization for your content. 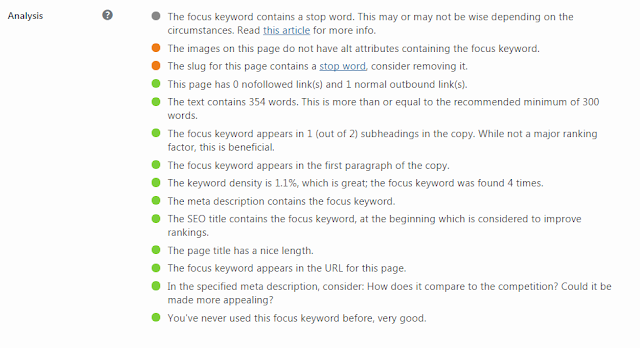 For this, we will use the Yoast SEO plugin we installed before. After completing these settings, the plugin will generate a preview based on how your content will look like in Google’s search engine results. For best results, create SEO titles and use Meta descriptions that will attract users and summarize what your post is about. A real time feedback will be provided by the plugin as you edit your title and description. You should aim for as many green dots as possible. However, obtaining 80% green lights is a fair sign that your post is more than acceptable. Now, you need to set a featured image from one of your thumbnails for your post. A featured image is a thumbnail image that is displayed with your post. To set the featured image, click on ‘Set featured image’ from the right sidebar. Once again, the media box will appear and then you need to drag and drop your featured image. 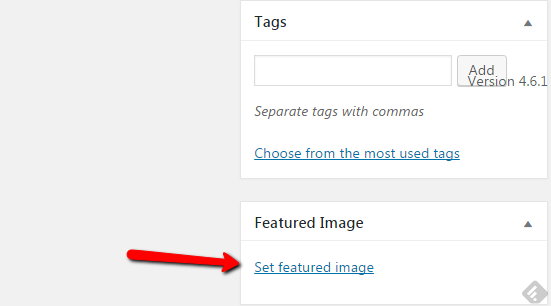 After successfully uploading your featured image, click on the ‘Set featured Image’ button. 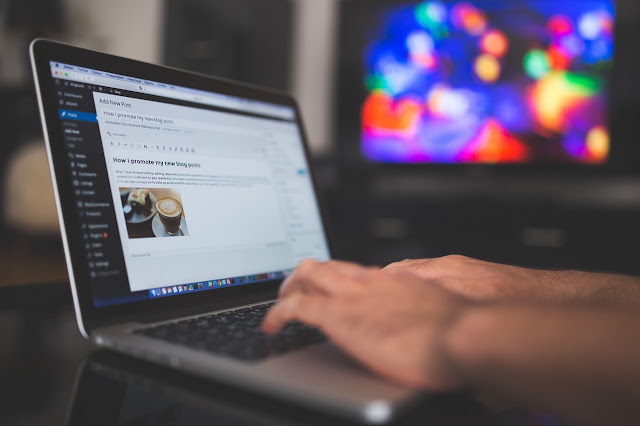 Once your blog checks all the boxes above and you’re satisfied by the way your blog looks, you can click on the ‘Publish’ button to publish your post. Finally, you have finished publishing your first blog post. We surely have come a long way, right? One thing that most bloggers fail to realize is that they need to constantly update their blog. Blogging only when you ‘feel like it’ will get you nowhere. To achieve success in running your blog, you must be consistent. Consistency is the key to achieve any goal regardless of how big it is. Taking small steps is better than taking no steps at all. To keep your blog updated and running all the time, you need to create an editorial calendar. Follow that calendar and your blog will start to gain traction in less than a month! You can create an editorial calendar on an Excel/Google spreadsheet and share it with your blog editor if you have one. The name of columns isn’t restricted and you can add as much columns as you like. The next step is setting specific days to write. You have to be consistent. If you keep missing out on your deadlines, you’ll quit blogging sooner or later. Once you have decided the days on which you’re going to write, start filling out your spreadsheet. Under the Title column, write down the different titles you thought of before. These can be ambiguous for now as we will edit them once we are done with posting them. 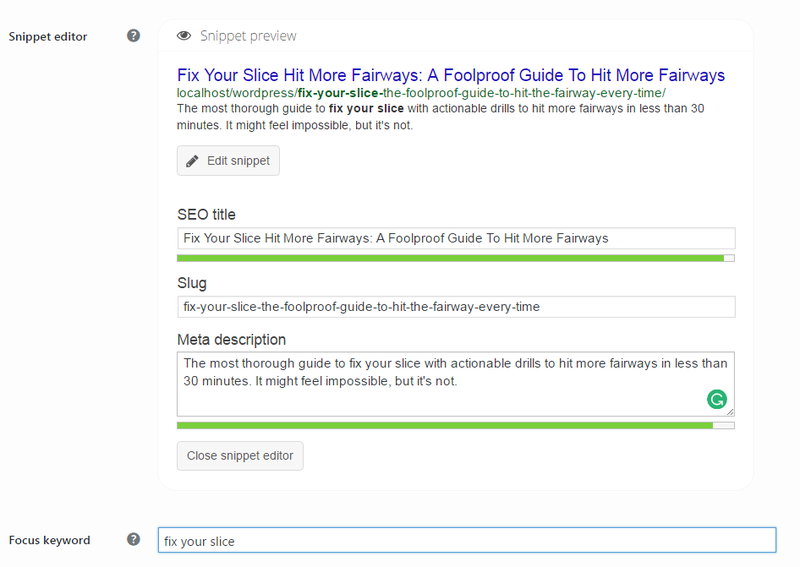 After the title, fill up the ‘Keyword’ column with keywords and phrases you’d like to rank your post for. You can leave it empty if nothing comes to your mind and edit it later. In the ‘Notes’ column, write down small keywords that will later help you discover important points for your topics. Fill your calendar with at least 20-30 topics and assign a deadline to each topic so you can set your eyes on your goal. There you have it, a list of topics that you can write for a whole year on a weekly basis! Coming to the calendar for the deadlines, head over to Google Calendar so that you can later share it with other writers. Set up a new calendar by clicking the down arrow on the right hand side of ‘My Calendars’. Click on ‘Create a New Calendar’ and choose a name for it. Also add the time zone and description for your Calendar. After filling out the general information for the calendar, click on ‘Create Calendar’. After creating your calendar, change the schedule view to ‘Weekly’. Once you’re done with that, choose the day you’re going to publish your post and add your blog post title as the ‘Event title’ in that slot. Set a reminder 3 days before the actual date so you don’t miss out on it. Editorial Calendars are the best way to get stuff done. Whether it is blogging or any other stuff, keeping track of your goals and time is the key to success. The last step is to make money out of your hard work. However, before making money, you need an audience. The first step to marketing is knowing your audience and knowing what they want. Instead of randomly guessing what the audience needs, you can engage with them through different channels such as newsletters, surveys, e-mails, and comments. Get the opinion of your audience and give them what they demand. In this way, you’ll get more subscribers. Another way to make money through your blog is by using ads. Although Google AdSense is the most used advertisement provider, you can do it privately/manually with the help of networks like buysellads.com. However, to do it privately, your blog must be at that level. When your blog reaches a high traffic status, you can contact private companies and give them a space on your blog to post their ads. All you need to do then is publish your content. One more way to make money through blogging is by selling physical products (also known as affiliate marketing). You can engage with your audience and see what they want. After you are aware of the needs of your audience, educate them about those product in the form of reviews and then sell that product through your affiliate links. Money shouldn’t be the driving factor in the initial stages of blogging. Bloggers should focus on creating a good relationship with their audience and fulfilling their needs. Once that relationship is established, the audience itself will cooperate with you and help you achieve greater heights. Blogging is quite easy if one is determined to achieve success. Consistency is the key to success. Publishing 1 post per week is better than not publishing at all. If you’re actually serious about blogging, you will know that it requires hard work, time, and consistency. All you need to keep in mind is that you need to make your audience happy. If they’re happy, your blog will flourish. Create your own ideas, engage with the audience and respond to them. Courtesy of: Who is Hosting This.